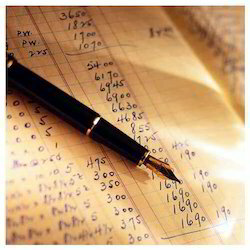 - Book keeping and preparation of final accounts. - Fixed assets verification and completion of records. - Selection, installation and training of accounting software. - Preparation of annual financial budgets. - Preparation of cash flow / fund flow forecasts. The need for proper and updated Accounts extends far beyond the legal requirements. Count on FINEGRAL to ACCOUNT for you. ! In today’s scenario of globalization and technology convergence, the process of doing business has been redefined. Outsourcing various processes makes a lot of business sense. Most businesses and large companies are outsourcing their accounting processes for better management of their finances and time etc. We accept Accounting related work on yearly/ quarterly or monthly basis. Assisted with huge industry proficiency and competence in this sphere, we are engaged in offering Accounting Outsourcing Services. Valued for their reliability and timeliness, these services are highly in demand. Also, our patrons can get these services from us within the pre-set span of time at highly cost-effective rates. Corporates are required to maintain secretarial records along with compliance to the various applicable laws be it the Companies Act, FEMA (Foreign Exchange Management Act) and adherence to the reporting and filing requirements of market regulators like the SEBI and the RBI. - Implementation of accounting systems, create chart of accounts etc. C K D & Co.
- Data Processing for the Receivable transactions. We provide a complete business outsourcing services and accountancy outsourcing services to corporates, SMEs both, in India as well as countries abroad like USA, UK, Canada. Singapore, Australia. Our expertise in this field, together with our commitment and focus, helps us in providing excellent client satisfaction.